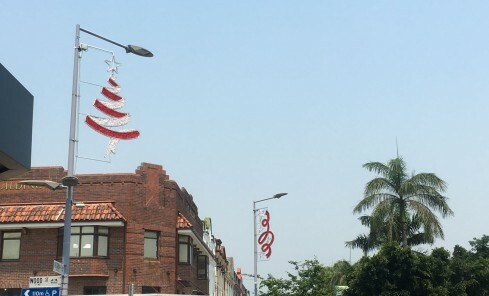 Have you seen the newest twinkly additions to the Mackay City Centre? This year we have ‘shone a light’, on our Christmas decorations and have added a sparkle to our streets. Four new illuminated decorations have been installed in the Victoria and Wood Street cross-section surrounding Canefire. A new Christmas Tree is also standing tall along with decorative garland, on the balcony of the beautiful heritage listed (former) National Bank building. We have also added a little extra to the tinsel decorations as we test a number of decorations with solar powered fairy lights. A big thank you to Steve from Lighting Network on Wood Street for helping with this project. Make sure you add Mackay City Centre to your Christmas Lights viewing list as it is sure to brighten your evening.